Nature can provide tremendous wisdom and healing, especially when we work with our local ecosystems and ecologies. One of the most powerful ways of working healing with nature, I believe, is to combine the innate healing properties of plants with your own various kinds of medicinal preparations. The plants and trees offer the raw material and your hands and tools shape that material into something that heals the body, mind, and/or spirit. 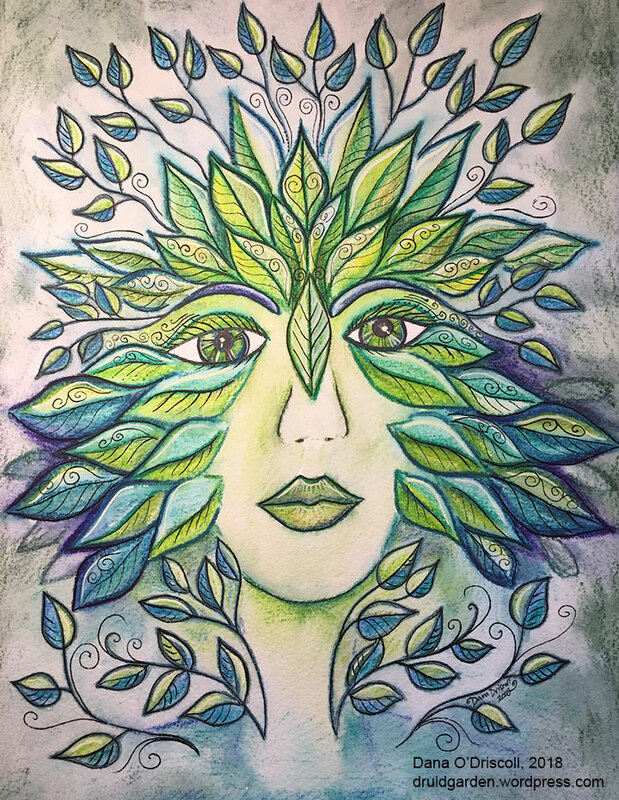 Working to transform tree and plant matter through alchemical processes into medicine–and then taking that medicine–can be an incredibly powerful way of establishing deep relationships not only with the living earth but with the trees themselves. Today, I want to talk about a particular kind of medicine known as a “hydrosol” and talk about how you might make your own with plant and tree material. This is especially beneficial for today as many of us are thinking about planning our year, what we will be planting and growing in containers and in gardens, and so forth. Alchemy is the ancient art of matter transformation. Alchemists worked to turn base metals into gold, to render the philosopher’s stone for that purpose. Alchemists also worked with plants through spagyrics, the practice of plant alchemy. It was believed by the alchemists that the process of alchemy, as the material moved through the black, red, and white phases, didn’t just happen on the physical plane, but rather facilitated transformations of mind, body, and soul. I, like most folks of this time period, have never done anything with metal alchemical work (it is highly toxic). But for many years, I’ve been fascinated by spagyrics, and have made a number of preparations using those techniques. (For good reading on the subject, I suggest Mark Stavish’s Path of Alchemy as an introduction). 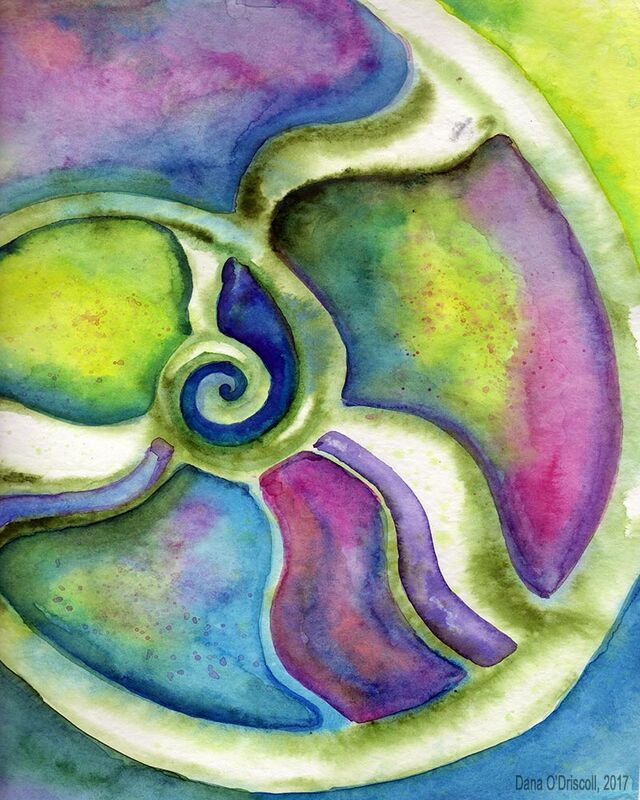 Because Alchemy is an inner and outer process, there is a whole movement of “inner alchemy” or “spiritual alchemy” work, work that can be can be used for inner transformations. The thing about any alchemical process is this: matter has to be broken down with fire and heat in order to be reformed in a more pure manner. I’ve been thinking a lot about the work we might do with trees and alchemy and have been experimenting in various ways in that direction. Basic spagryic preparations (which are detailed in Mark Stavish’s excellent work) combine macerating plant matter in high-proof alcohol (that is, soaking it for a period of time) and going through a process of refinement where the material that was macerated is burned and the ash is further refined. Eventually, the refined materials are combined for a highly potent medicine. I think there are other kinds of work you can do with plants and tree matter that are a little less direct. On the most passive side that requires little tools, preparation, or time, a simple flower essence (where a bowl of spring water is held up to a leaf or flower of the plant, imbuing that plant energetically) is a good first step. Somewhere in the middle, requiring some preparation, tools, and time, we have the hydrosol and the creation of an essential oil. On the far side, requiring much preparation and time, we have the full spagyric plant preparation. Hydrosols are also known as “floral waters” although they can be made of much more than just flowers. They are produced by a simple distillation process. 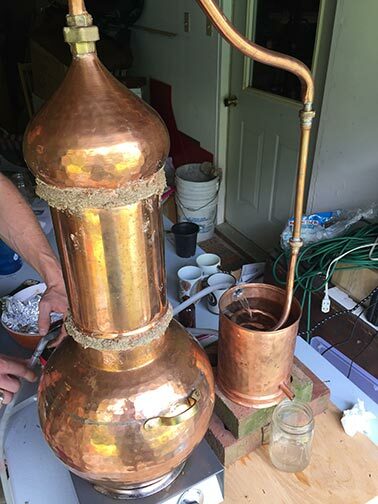 You can purchase fancy equipment (often known as an Alembic or Still) to do this or you can do it with stuff you likely have already in your kitchen (I am going to offer information on both approaches.) I used the simple stovetop approach with kitchen materials for many years before, using about $10 worth of materials from the thrift store for very small batches. 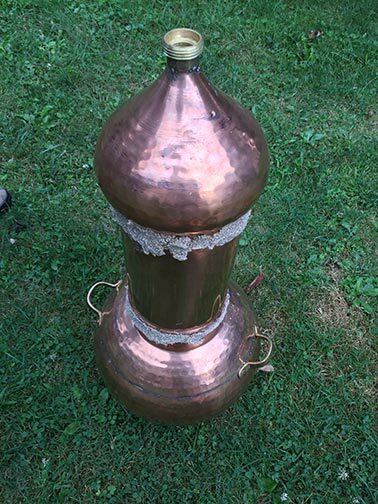 Then, last year, I finally invested in a medium-sized copper alembic to do more advanced preparations. 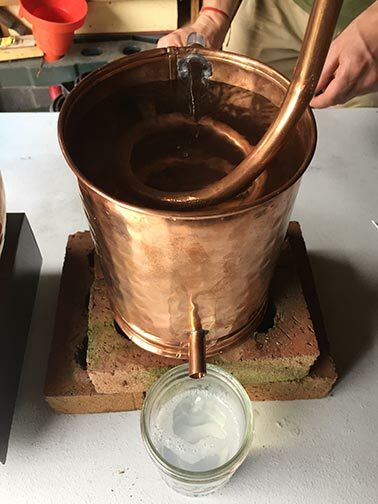 The process of making a hydrosol, which I’ll detail with photographs below, involves gathering fresh plant material that is aromatic in nature. You will need a lot of plant matter – usually several pounds. It involves heating the material up to create steam, cooling that steam and condensing it back into a liquid form that is medicinal and relatively shelf stable). Hydrosols are sacred medicine in their own right, although they are often seen as “by products” of the essential oil distillation process. 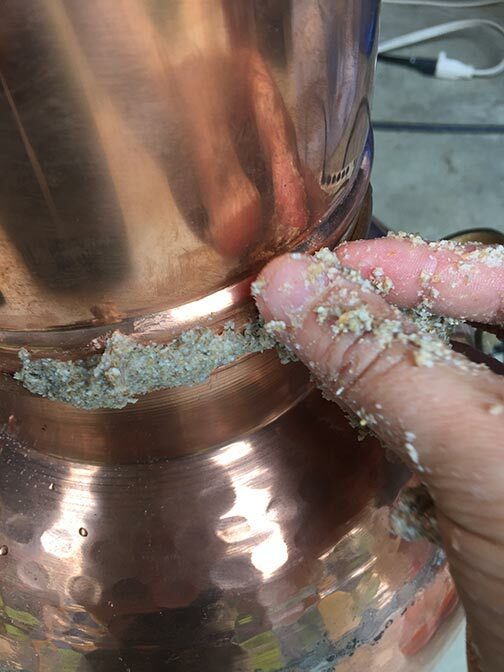 When you heat up plant matter that has high amounts of volatile oils, those oils also come out through the distillation process and sit on the top of the hydrosol. 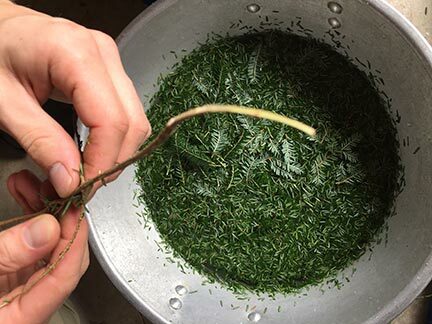 Most people working on this process at home, particularly with sacred trees, may not produce enough oil to make it worth their while, although some plants, like lavender or goldenrod, certainly can do so, especially if you do several batches of distillation. Harvest your plant material with reverence and respect. Hydrosols and distillation take a good deal plant material (particularly if you are using an Alembic and doing a higher amount of distillation). Keep this in mind as you are planning for the garden this year! Plant material should be safe to consume or at least put on the body. Despite my positive relationship with Poison Ivy, I would not, under any circumstances do a steam distillation of it! Harvest your material on a sunny day when it is not raining. The rain, particularly for flowers or aromatic leaves, can dilute the plant oils and overall result. Harvest the plant matter in abundant areas or grow it yourself to ensure that you are not taking too much from the plant matter. Generally speaking, if the plant is rare, doing a tincture is probably the best way to use that plant’s energy because it is the most efficient. If the plant is very abundant, a steam distillation would be a good choice. The timing also matters–plants have different levels of aromatic oils at different times of year. 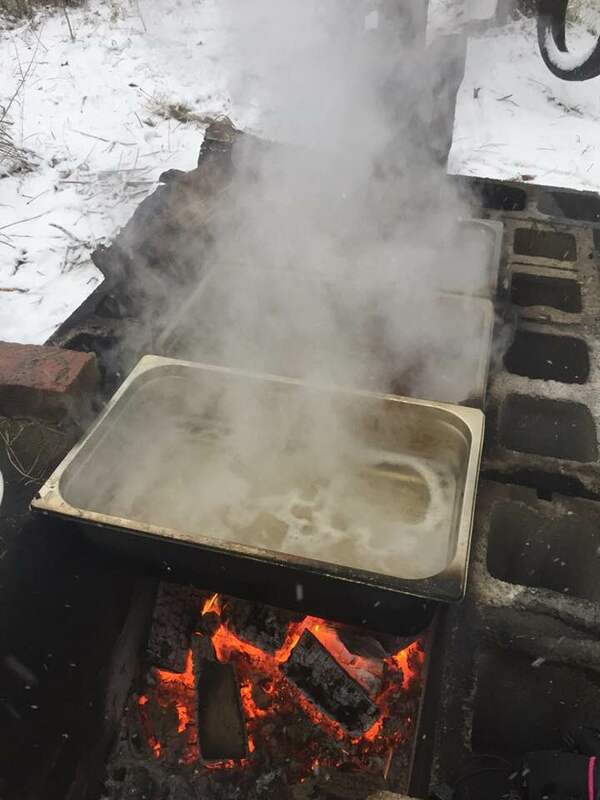 If I was doing a black birch preparation, I would do this in the early spring due to the amount of sweet oil in the birch branches that time (due to the flowing of sap). Other plants, like the conifers, don’t matter as much. Flowers and herbs should be harvested at their peak–so when lavender is in flower, for example, but before it goes to seed. 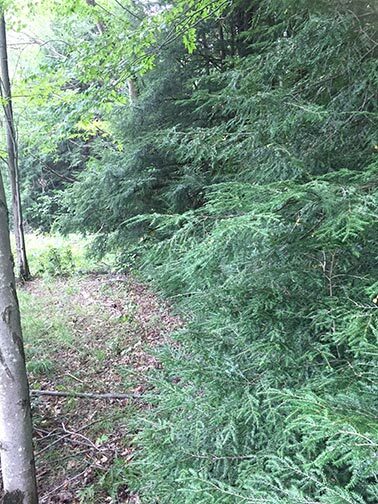 A large hedge of Eastern Hemlocks on the edge of a field provides an excellent place to gather material. 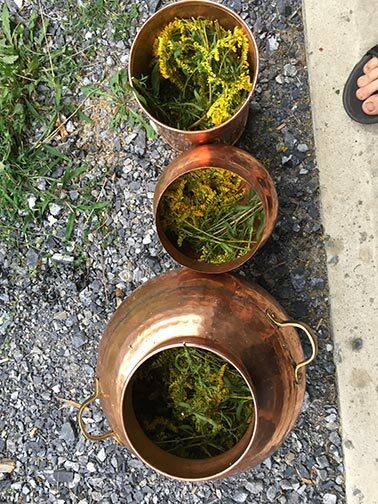 A friend and I went out and harvested a number of plants to fire up the copper alembic. 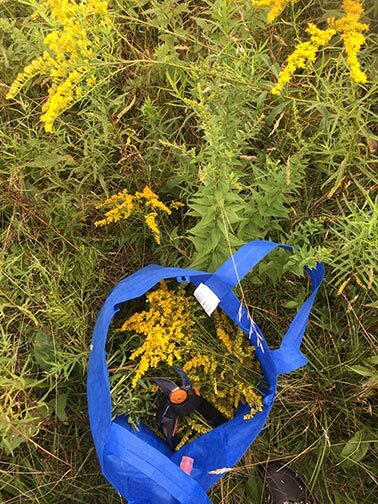 We did four distillations, two of herbs (goldenrod and sweet clover) and two of trees (eastern hemlock and blue spruce). We experimented with different kinds of approaches to the distillation. The Eastern Hemlocks are carefully cut and placed in a cloth bag for transport home. Now I am going to walk step by step through the distillation process. 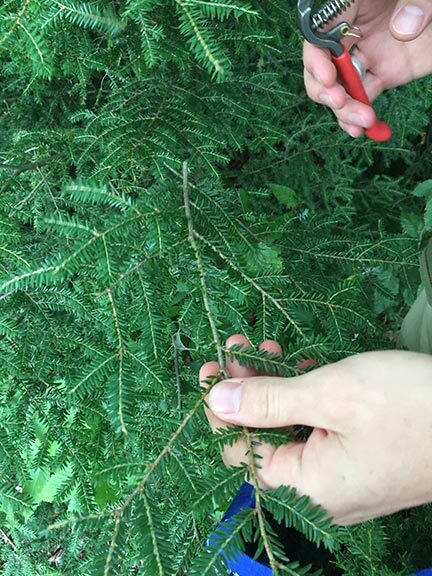 Once we were home, we removed large stem material and did our best to crush up the hemlock needles. 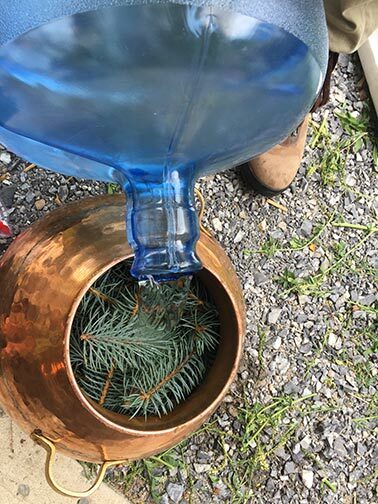 We had not done this with the blue spruce (instead, placing whole small branches in the alembic) and that proved to give us very little essential oil, but certainly, a nice hydrosol. Breaking up the hemlock material took more work, but we believe, it was worth it as we had a better preparation. After we soaked the needles, we added fresh spring water (harvested at my local sacred spring, Heffley Spring) for the distillation. If you can’t get access to fresh water, I would consider using distilled water. The point is this: the process is very potent, and I certainly wouldn’t want any human-added chemicals, like chlorine, in my distillation. My alembic also has an addition column where you can cram more plant matter in and the top that also takes plant matter. So I did this–so both the base and column are filled with plant matter (this photo shows Goldenrod), and the base is also filled with water. That gives you a lot of plant matter at once to steam distill–probably 10x what I used with my other method. Plant matter being packed in. 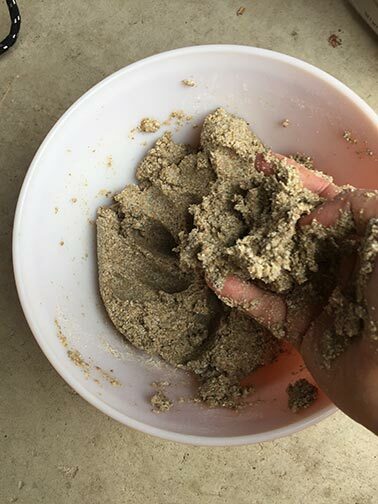 In the traditional method, Rye flour is used to seal up the alembic prior to steaming it. If you have severe allergies to gluten, I would suggest a sticky rice flour or tapioca flour in the place of rye. I haven’t tried this, but I think it would work. First you mix a big batch of the Rye flour up. It looks a lot like a sticky bread dough. I didn’t measure, just added enough water till I got a nice paste. Then you basically smear it into the cracks and crevices of the entire alembic to hold it together. The idea is to seal it up so that as it starts to steam, it doesn’t leak steam anywhere. The flour is a fun yet messy job. Sealed up and ready to go! Distillation works with the heating up of the plant matter and water to create steam then cooling it down quickly for condensation. That’s the entire process. So you will need something to heat it up (I used a small outdoor burner) and you will need something to cool it down (I used lines with a small submersible fish tank pump and ice cold water). I forgot to take a photo of the pump part of the system. The condenser unit has two cooper pipes sticking out of it–the top one flows water in and the bottom one pulls water out. You can keep the system cold if you flow cold water into it. Online, some people just use this from their tap, if they have a spring or well, the water is cold enough if you keep flowing it through. I didn’t have this, so instead, I used several bags of ice and a cooler. I placed the submersible pump at the bottom of the cooler and then ran the tubing through it and into the condenser. I used a little clamp to regulate the pressure of the water (so it would stay level, which required some work). I found that the unit took about 30 minutes to heat up and about 45 minutes to actually start condensing the steam. I let it run two or so hours, until the water no longer looked cloudy when it was coming out of the condenser unit. This final water has both your essential oil and the distillation in it. You can purchase a fancy oil separator (which I didn’t have when I did this) but I used a different method. In my case, the only plant that produced enough essential oil to really take off the top was goldenrod. To do this, I simply poured it all into a mason jar and then froze the whole thing. The hydrosol freezes but the oil does not. I then pulled it out of the freezer and used a pipette to pull the oil off the top of the jar, then unfroze the hydrosol and put it in neat little spritzer bottles. Since doing this last fall, I have shared these hydrosols with many friends in the druid community. They remark on their potency–the spruce gives an incredible lift me up, the white pine brings peace, and the hemlock brings stability and space (mental space/clarity, is the way one person described it). In truth, the goldenrod got a little skunky/funky, but did produce a nice oil, so I’m not sure I’ll do that one again (and I didn’t give that one away!). 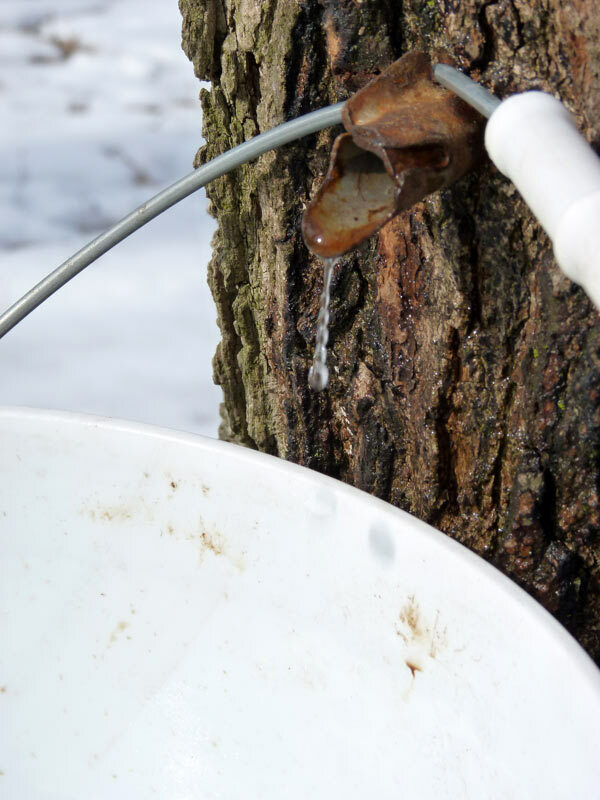 Creating tree hydrosols and essential oils represents a unique and beautiful way to connect with the potent medicine of the trees and work with them for healing and transformation. What seems like an intimidating process is actually a very simple one: refining potent medicine through the application of fire, water, and ice. The practice of alchemy, of course, isn’t just about producing a physical medicine–but rather, the refinement and work on the level of the soul. Alchemical preparations not only as medicine for the body, but medicine for the soul. PS: After this post, I will be taking several weeks off of regular posting on this blog to do some travel. I look forward to returning later in June to my regular posting. Blessings! Dana gathers elder as the sun rises on the summer solstice! I remember when I first found the massive elderberry patch. It was a few summer solstices ago. 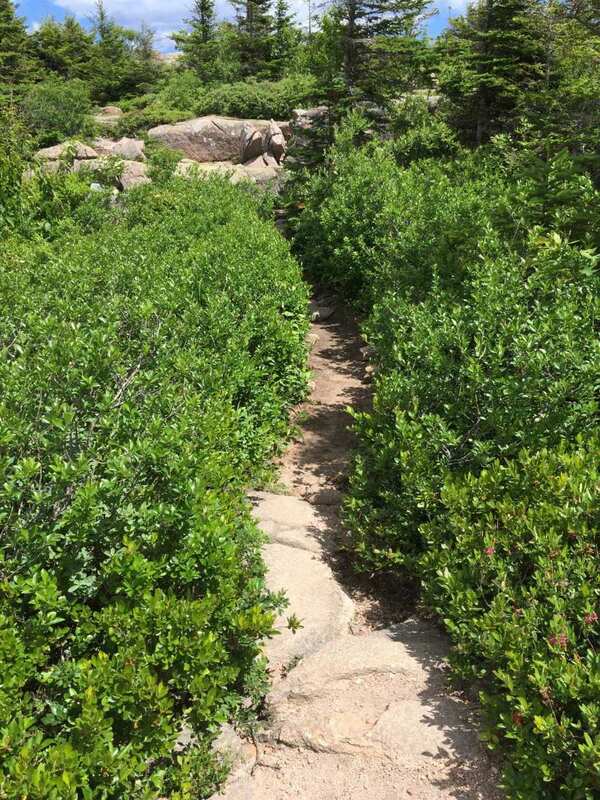 There is an overlook deep in the state forest lands, where the roads are more goat path than vehicle worthy, and it takes about 45 minutes to go only a few miles. The overlook is facing east and you can see across multiple counties, for countless miles. Visiting the overlook earlier in the summer, I had said to my mother how much I’d love to witness the summer solstice sunrise from that spot. And so, at 4:30 am on the morning of the solstice we got up and were dismayed to find that it was overcast and drizzling. With hope in our hearts that it would clear, we made our way up the winding path, avoiding potholes and huge rocks, and eventually to that mountain overlook. It was still gray and overcast, the opposite of what I had hoped to witness that day. The sun was not interseted in coming out to greet us. We were a bit saddened by the experience, and began our drive back. Suddenly, something caught my eye—a whole lot of something. A massive patch of hundreds of elderberry bushes, all in incredible bloom. We had bags for foraging in the car (my family is rather obsessed with foraging and mushroom hunting; you don’t leave the house without foraging gear) and so we stopped to pick them. It was magical. and I made my first batch of elderflower cordial later that day. That morning so dreary, and the elder was so bright. She lived in a swampy area, so my sandaled feet were covered in mud. She had brambles growing all below her, so I was scratched up from tangling with the brush. But getting to pick that beautiful cluster of flowers, and taste the joy of the elderflower cordial—it was a true delight. There is so much transition here–and transition is one of the key themes that Elder offers. And so, in today’s post, we will explore the magic, medicine, folklore, and mystery of the elder tree. This post continues my longer series on Sacred Trees in the Americas, where I explore the many aspects of trees native or naturalized to the Eastern and Midwest regions of the US. 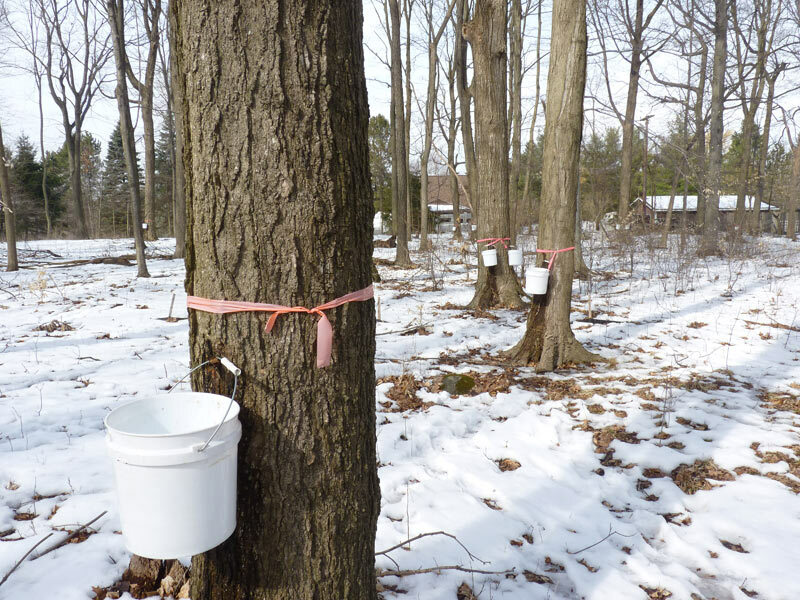 Previous entries have included Walnut, Eastern White Cedar, Hemlock, Sugar Maple, Hawthorn, Hickory, Beech, Ash, and White Pine. We’ll do this to understand elder’s role on the landscape and what gifts she may offer us—and how we, too, may seek her deep mysteries. The Elder tree (Sambucus spp.) has over 26 different varieties found throughout the world. Here in the Eastern US, the most common elder we have is Sambucus Canadensis, or the black elder. I will focus the remaining post on the black elder as this is the elder that I have the most experience with, but do recognize that most of what I’m discussing can likely apply to other kinds of elders. Sambucus Canadensis is known by a variety of names including the common elder, American elder, black elder, elder blow, Canada elder, sweet elderberry. According to Grieve in her Modern Herbal, more names for Elder include Pipe tree, bore tree, bour tree, hylder, hylantree, eldrum, and ellhorn. All of these names have rich histories and are seeped in lore and tradition. Elder typically grows in areas that are damp or wet such as ditches, flood plains, near streams and lakeshores, but I’ve also seen it growing in typical moist forests as well, either along the edges or as an understory species. It can grow in full sun or part shade, but shade will likely reduce the number of flowers and berries produced. In The Book of Swamp and Bog, John Eastman describes the cup-shaped fungus (auricularia aricula) that grows on elder in the spring and fall. This mushroom, called a “Judas ear” or “Brown ear” is a delicious culinary treat. 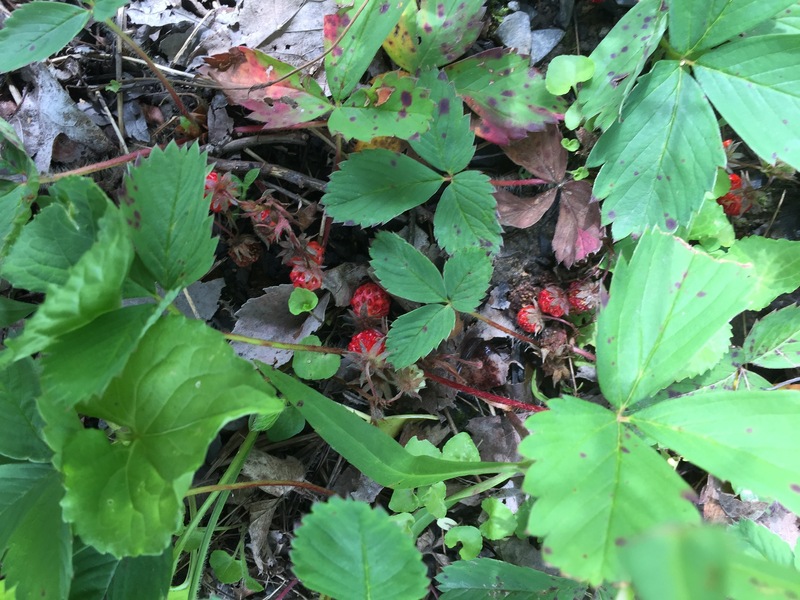 In rich wet soil with ample sun, elder can produce an amazing amount of flowers and berries that provide habitat and foraging for over 40 species of birds along with a host of mammals including squirrels, foxes, mice, and groundhogs. And, as anyone who has gone to gather elderflowers at midsummer knows—ample insect life. Not to mention, delicious flowers and berries that humans can enjoy. Elderberry is an incredible food and medicine for humans, and we have long cultivated a rich relationship with elder. As a food, Elderberry is high in Vitamin C, as well as A, Iron, Calcium, and Potassium. However, fresh from the bush, elderberry has a bit of rankness or skunkyness; this is completely eliminated by drying or canning. Some sources suggest that the fresh elderberries should not be eaten raw because they can sometimes cause an upset stomach. I’ve read this statement in a lot of books, and maybe it is true, but I’ve never heard anyone who has actually gotten a stomach problem from them. As a child, my cousins and I enjoyed them every year and ate them fresh from the bush. We were fine, but we are also hardy mountain people! It may be that this is true of Elder species other than Sambucus Canadensis. The fruits and flowers both are culinary treats, used in creating beverages as well as jams and jellies. In Stalking the Wild Asparagus (which is, to this day, one of my very favorite foraging books), Euell Gibbons describes his version of elderberry jelly, to which he also adds staghorn sumac. I’ve modified his recipe as follows to be a lower-sweetener/sugar version employing Pamona’s pectin (for low sugar canning) rather than normal pectin. First, you begin by stripping the berries of stalks (the easiest way is actually to freeze the berries—then they pop off of the stalks easily). You don’t want the stalks as they are not edible. Next, cover the berries with water and simmer for 30 min, mashing them as they cook in the water. While the berries are simmering, take several heads of staghorn sumac, break them up, and soak them in water for 10 or so minutes). Strain both elderberries and staghorn sumac. Combine 1 cup of staghorn sumac juice to 3 cups elderberry juice (or any higher amount, using this ratio) with between ¼ or ½ cup sweetener (I use honey or raw cane sugar) per cup of liquid (so this recipe would call for a minimum of 1 cup sweetener and up to 2 cups sweetener). Add 4 teaspoons of Pamona’s pectin and 4 teaspoons of calcium water (which you make with the Pamona’s pectin) and bring the whole mix to a hard boil for one minute. Mix these very well, then add to sterilized jars and hot water bath can them for 20 minutes. Gibbons also offers a “juice” version of this that uses no pectin, but in similar ratios to the above to taste. I want to make a note about the pectin used here—Pamona’s pectin is a special low sugar pectin that allows you to “set” jams and jellies using very low amounts of added sugar; normal pectin requires high amounts of sugar for setting. Another recipe Gibbons offers is an “Elderberry Rob”, which is where you take a quart of the elderberry juice (prepared in the manner I described above) and add 1 stick of cinnamon, six cloves, and a whole nutmeg. You boil this for 30 minutes, and then add a cup of sugar or honey (if you add honey, you can also use this as a cough syrup). If you are adding raw honey, wait till it cools down so that you also get the medicinal benefits of honey. Finally, a recipe I have yet to try is Gibbon’s “Old time face cream”, where you add 1oz lanolin, 8oz cocoa butter and a handful of elderflowers in a double boiler, then strain and pour into small jars. I like the sound of this! Elderflower is slighty asringent, so it would make sense that this cream would tone the face beautifully. As children know, you can make a simple instrument or blow gun from the Elder tree. Culpepper describes this in his herbal, “I hold it needless to write any description of this, since every boy that plays with a pop-gun will not mistake another tree instead of elder.” A youngish stalk can have the pith hollowed out to make a hollow tube. The tube can be used for a number of things including flutes, blow-guns, and even, taps for maple syrup trees (homemade spiels), as Gibbons describes in Stalking the Wild Asparagus. As the elder matures, the walls of the stalks thicken and the soft white pith gets less pliable, so younger stalks are often better for these than old granny stalks (and who would want to cut old granny stalks of elder anyways? That would just lead to bad things). In fact, the etymology of the Latin term for elder, Sambucca, has an interesting history. I have found references to a Sambuca (or Sambuke in Ancient Greek) that is an ancient instrument that apparently gave Elderberry its Latin name. In The Earthwise Herbal, Matthew Wood explains that panpipes were originally made from Elder and tied to Pan, the lord of the forest. As someone who plays the panpipes, I can attest to the truth in this statement! What I haven’t been able to find in any detail is how to actually craft the panpipes themselves out of elder—but that hasn’t stopped me from trying, as panflute is my primary instrument. So far, I’ve failed primarily in the harvest department—the wood gets thicker and thicker till it’s too thick for a good tube. That’s about what I’ve learned so far—there’s a lot more work on this project to be done and someday, I will post more about it once I figure it out. There are some good instructions on making more simple elderberry flutes, for those who are interested. But, I do wonder, what does the elder flute sound like? What haunting melodies would emerge from a Sambuca? Would it only play for the spirits, or would human ears be able to hear it? Given the richness of the elder “song” in the Native American legends, I cannot wait to hear it for myself. One of Elder’s anachronistic names also offers some additional insight: the Anglo-Saxon term “aeld” means “fire.” According to Grieve, Aled eventually became Elder. The original “fire” use referred to the hollow stems being used as a fire tube for blowing oxygen onto the flame. I actually think this is a really important aspect of Elder here in the US and one not to be overlooked. The Elder is a highly medicinal tree with a range of uses for the bark, leaves, flowers, and berries. The flowers are primarily used as a diaphoretic, that is, they increase periphery circulation and are used for fever support. According to herbalist Adele Dawson, Elderflower is a wonderful support for influenza, especially for addressing the achiness that is so present in the body. Elder increases circulation and sweating, which helps rid the muscles of some of the toxins that build up during influenza. Herbalist Jim McDonald recommends using elderflower in conjunction with boneset for supporting a healthy fever response (which is not the same as suppressing a fever). Here is a great video of Jim teaching about elder. Elderberry is a strong immune system supporter and can be part of a daily herbal routine to combat regular seasonal illnesses (such as the horrible flu that goes around every year). Elderberry and Echinacea Purpea form a very powerful immune support team. As I was taught about this plant from herbalist Jim McDonald, elderberry is best used for daily immune system support, to keep you from getting sick. Once you get sick though, it is better to take Echinacea because that stimulates an acute immune system response (through increasing white blood cells). I actually make an elderberry elixir, a recpie I’ve shared on this blog before, and take that regularly during the year to avoid sickness and boost the immune system. Matthew Wood notes that elder bark is semi-toxic, and because of this, it.can be used for an emetic drink—to induce vomiting if that is needed. How like the elder–she’ll give freely of her fruit and flowers, but take her bark and pay the price! John Eastman describes that the Onodaga would drink a brew of elder bark to try to remedy for poison hemlock poisoning (it would make you throw up the poison if you drank it quickly enough). Given that elder and poison hemlock have very similar growing conditions, this makes sense; a lot of “cures” can be found right next to the “poison” itself. Although I think the best approach would be to avoid poison hemlock to begin with…. There’s a lot more to say about the medicine of the elder—I just detailed several of many uses. You can see Jim’s video (above) and the link to Grieve’s entry on Elder here for more information. Because of its place as an Ogham tree and potent magic, Elder has long been recognized as an important plant ally and has an incredibly rich tie to magic and folklore. 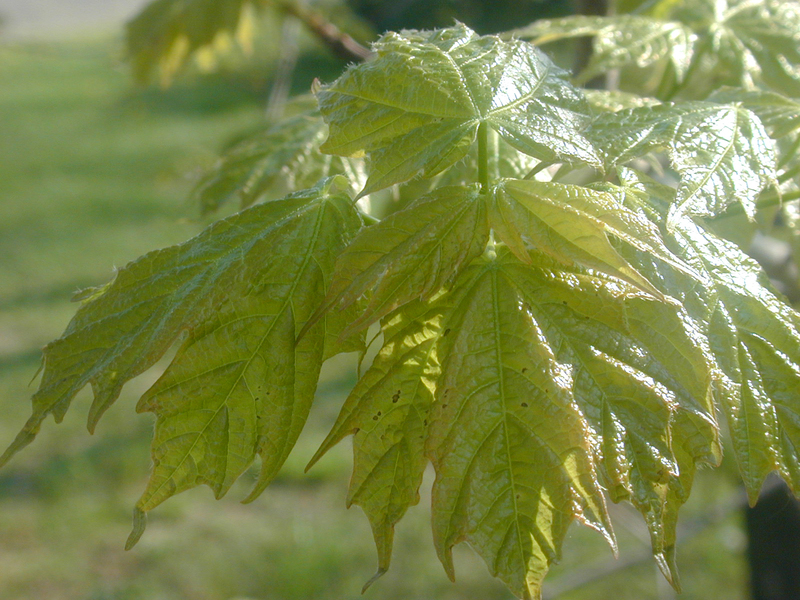 Elder is one of the 22 trees in the Ogham, the Celtic tree alphabet. It is distinguished by five lines and is tied to the Ogham letter “R” and “Ruis.” The Elder, as an Ogham tree, has strong connections to the fairy realm (as both a gateway as well as the tree representing the Queen of the Fairy, in some tales). In Ogham, the general divination meaning of Elder is tied to Venus (as a water-loving plant) and to the element of water. Her meanings are many, but are often tied to transformation; regeneration; life, death and rebirth; endings; and fate. 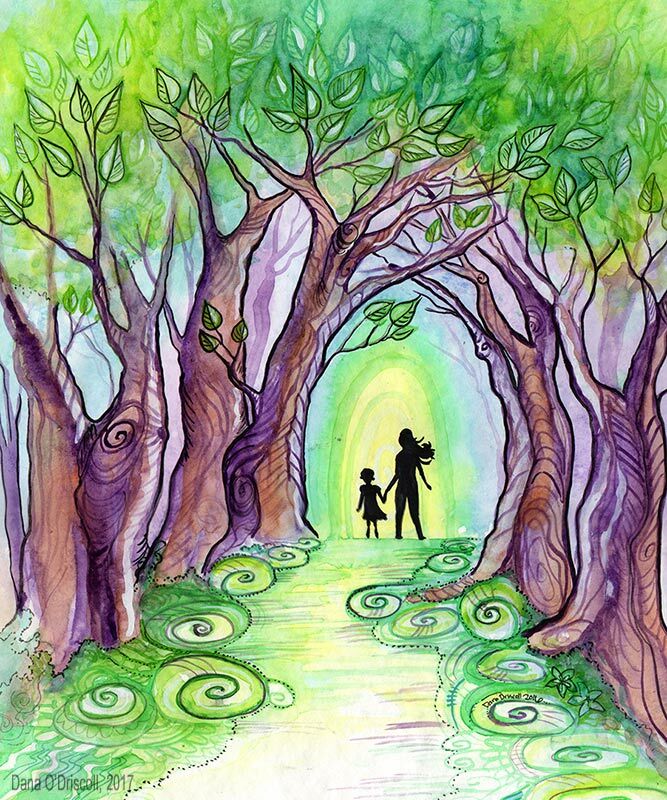 In the Celtic Tree Oracle, for example, Liz and Colin Murry tie this “rebirth” quality to the Pair Dadeni, the Celtic cauldron of rebirth, which is said to be able to revive the dead (as described in the second branch of the Mabinogi). Like any powerful magical plant, Elder has both beneficial aspects as well as warnings to heed, as with any other very potent plant ally. In the Encyclopedia of Natural Magic, John Michael Greer describes Elder as both “harmful” and “helpful” depending on how it is used. As long as elder is kept out of the house, it can bring a host of magical protection. People have planted elder outside of their houses, for example, for deflecting hostile magic; similarly, elder was planted in cemeteries to allow the dead to rest in peace. Elder was used to fasten doors shut or tied to windows and doors to keep out the fey as well as other kinds of hostile magic and also used in barns for this same kind of protection. If the elder was gathered on Beltane eve, it was particularly potent for this purpose. In Hoodoo, likewise, elder pegs were dressed (rubbed) with High John the Conqueror oil and driven into the earth around a business or home to keep the law away (see Yronwode, Hoodoo Herb and Root Magic, for more details). All of these good and protective qualities, however, go away if you take Elder indoors in most cases—the tree spirit gets a bit angry and feisty. If you burn elder wood, you summon evil spirits. A baby crib made of elder for example, angers the tree spirit and the spirit pinches the baby till it is bruised and crying. Similarly, napping under an elder tree is a very bad idea; it is believed to cause madness (probably because of its association as a gateway to the otherworld and fairy traditions). In the American Hoodoo tradition, it is similarly used as a protective herb; when leaves, berries, or roots are carried they offer protection, particularly against illness. In Hooodoo Root and Herb Magic, Cat Yronwode shares a particularly interesting ritual involving elder. First you cut a fresh elder stick, draw a circle in the dirt around you, standing inside the circle, and make your wish or prayer. Hoodoo practitioners don’t seem to have the prohibitions against elder being indoors that the Old World magical traditions seem to have. For example, hoodoo practitioners use pieces of it inside the house to protect the house from thieves, shield one from prying eyes, and proved physical and spiritual protection. I wonder if this has to do with the different nature of the otherworld on American soil vs. European soil—or perhaps Sambucus Canadensis is simply more friendly than its European counterpart, Sambucus Nigra. Matthew Wood, in the Earthwise Herbal describes how the North American Indians and Europeans were in the tradition of making offerings to the elder. North American Indiana made offerings at each elder plant when picking them for use. Europeans believed Elder was the “elder mother” or “hylde moer”, who was Queen of the Fairy or Queen of the Underworld—a powerful and potent force. Each elder tree had a “little elder mother” that lived there; they would make offerings at the base of the elder tree, to the little elder mother, to encourage good harvest and potent medicine from the elder. Native American mythology offers us some additional insight into the magic of the elder tree, as it manifests on the soil here in the Americas. In one Miwok legend, How Tol-le-loo Stole Fire, Tol-le-loo has an elderberry flute that he takes with him to a village. Tol-le-loo has the intention of stealing the villager’s fire; to further his goal, he plays his flute and all of the villagers start to fall asleep. Wit-ta-bah, a robin, sees what is happening and spreads his wings over embers to protect it, but the flute eventually puts Wit-ta-bah to sleep as well. Tol-le-loo cuts a hole in Wit-ta-bah’s wing to get at the fire, steals the fire embers, and puts the fire in his flute for safekeeping while he climbs up to the top of a mountain. The fire stays in the flute till he takes it out. “Its branches, as they swayed in the wind, made a sweet musical sound. The tree sang; it sang all the time, day and night, and the song was good to hear. Wik’-wek looked and listened and wished he could have the tree. Near by he saw two Hol-luk’-ki or Star-people, and as he looked he perceived that they were the Hul-luk mi-yum’-ko–the great and beautiful women-chiefs of the Star-people. One was the Morning Star, the other Pleiades Os-so-so’-li. They were watching and working close by the elderberry tree. Wek’-wek liked the music and asked the Star-women about it. They told him that the tree whistled songs that kept them awake all day and all night so they could work all the time and never grow sleepy. They had the rattlesnakes to keep the birds from carrying off the elderberries. So in the first legend, the song of the elder flute put people to sleep, but in this case, the song of the elder tree allowed the star-people to keep working and created the “soft whistling song of the elderberry tree.” But these people aren’t normal people, they are star-people and chiefs, so that might be part of the difference. Eventually, Wik’-wek is able to secure a piece of the elder tree and plant it all over the country to offer the Indian people food, music, and medicine. In another tale, which talks talks about this same legend from a book called Tower Legends, the author notes that since all of the elderberry trees came from that singing tree, elderberry trees sing even when there is no wind. In the Tsimshian Texts, a brief note is indicated that Elderberry bush gave birth to her children before little stone, and this is part of why Indians do not live as long. There is not more than this short story, but it does also give the “life and death” theme we find above. Elderflower in hand….ready to make into medicine. Thank you, elder! Finally, in the Hoo’-Koo’-E’-Ko legend, “How O’-Ye The Coyote-man Discovered his Wife”, O’-ye the Coyote man is the creator of the world. The world was covered in ocean, but eventually the waters receded and there was enough land. O’Ye planted the most important trees to the people: buckeye, oak, and elderberry with many other plants in order to help make the world. Elder is a tree of transitions. Elder is a boundary tree; she gaurds the boundaries between life and death, between sickness and health, between this world and the otherworld. Like any transition point, this can be a dangerous road to travel, but can also lead to rich rewards. Elder “sings” and offers a magical spirit song that can be used for a variety of purposes. Elder’s long associate with woodwind instruments (sambucca, flutes in the Americas) as well as the many legends about the elder trees in song suggest that a magical sound comes from the tree herself as well as any instruments created from elder branches. These instruments, always some kind of flute, can be used to slow things down (putting people to sleep, into a revere, into a quiet meditation) or to speed things up/raise energy. It is all in the intention of the tree or the musician. Elder requires caution and wisdom in use. In both of the magical uses above, Elder has two sides: a healing and a harming side; a side of death and a side of life. Knowing how to use her well, how to seek her as a guide, is something that requires wisdom and knowledge of her inner workings. Here, I also point to the elder’s use as a fire blow stick–she is a lot like the fire itself. Tend and respect the fire carefully and you have a warm house and a hot meal. Fail to respect her, and she will burn your house to the ground. And so, failing to use her medicine and magic wisely can end you in a lot of trouble (being caught in the rattlesnake den, trapped in the otherworld, or being tortured by the spirit of the little elder). Tread carefully, friends. As the new spring season is quickly upon us, you might see if you can seek some elder this year–and learn the many things she has to teach. Blessings!